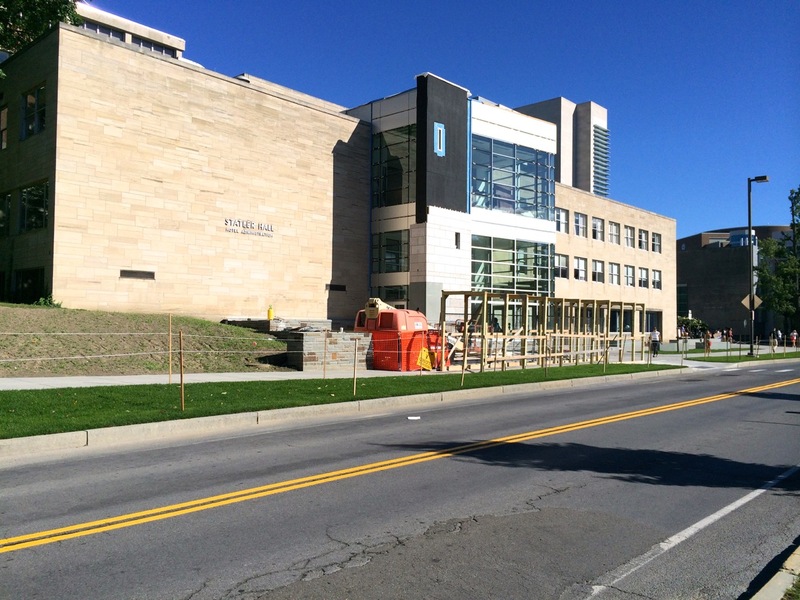 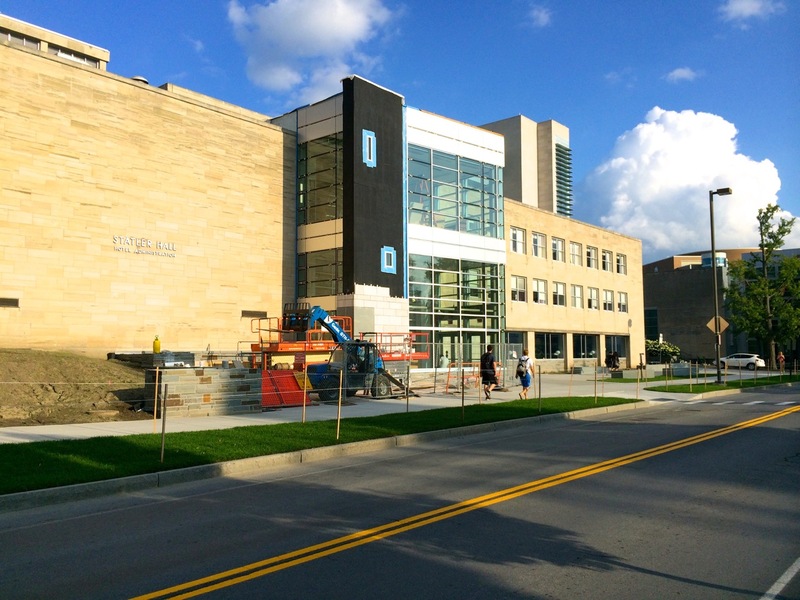 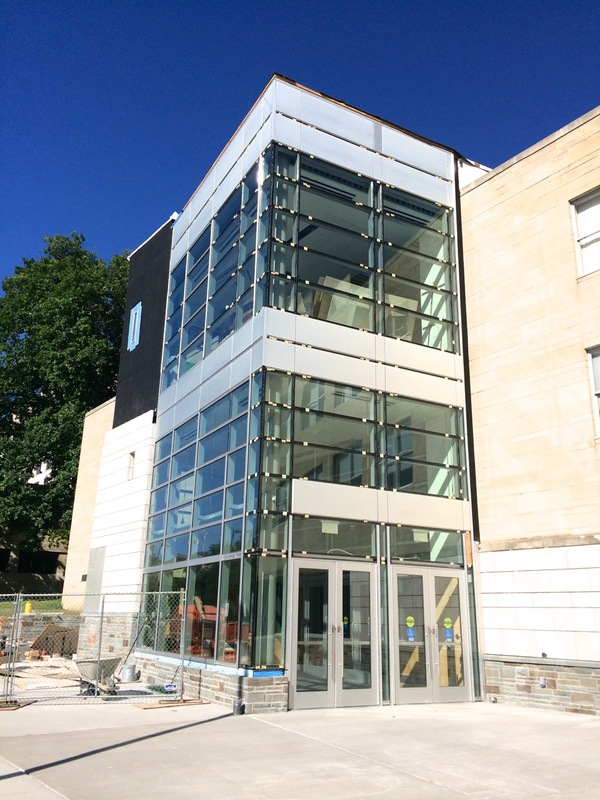 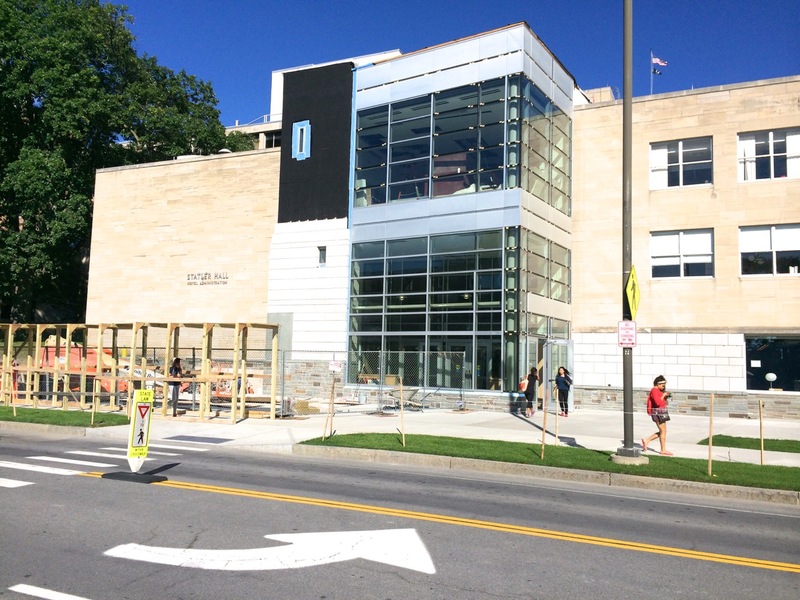 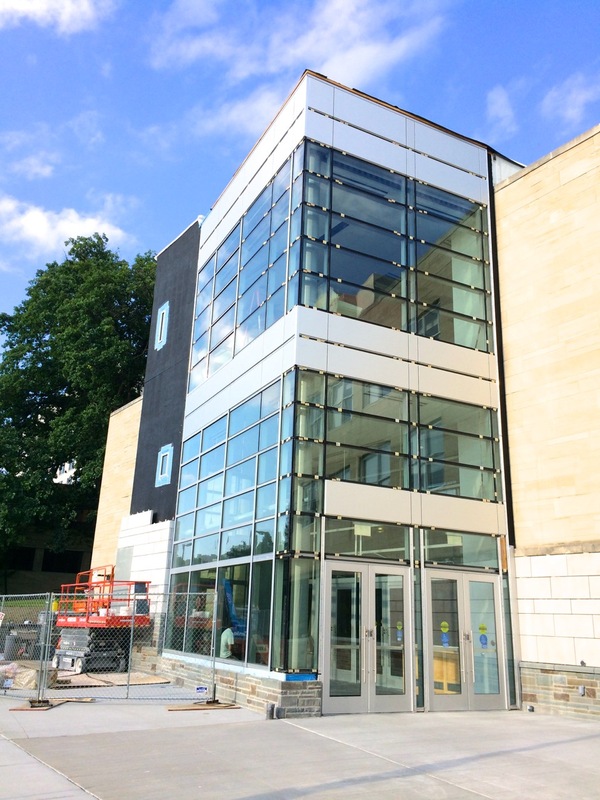 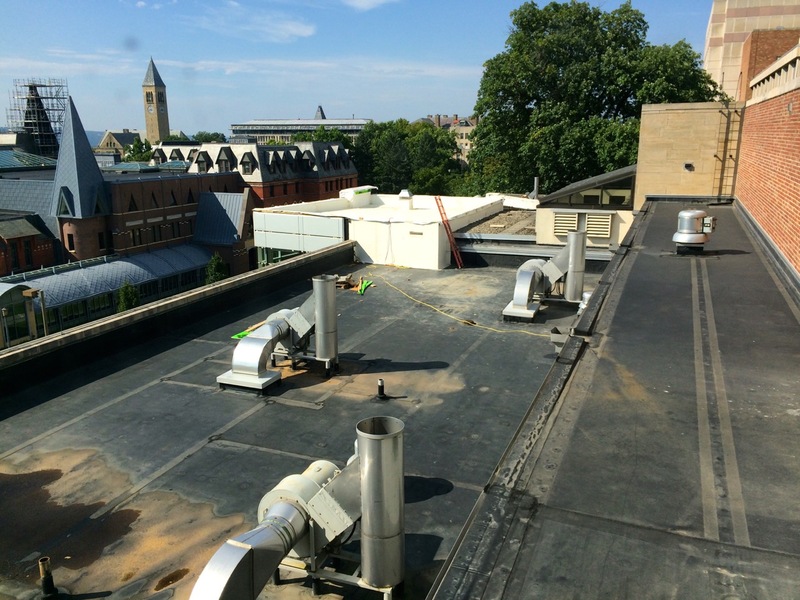 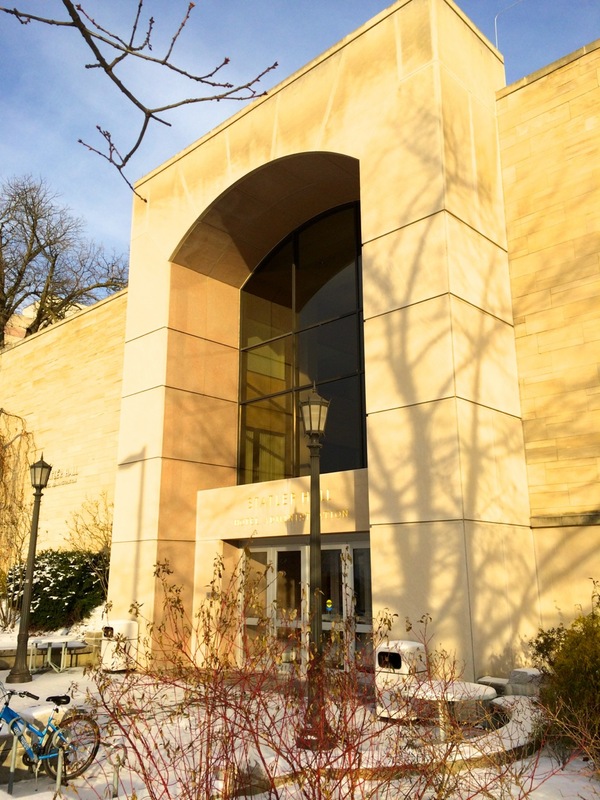 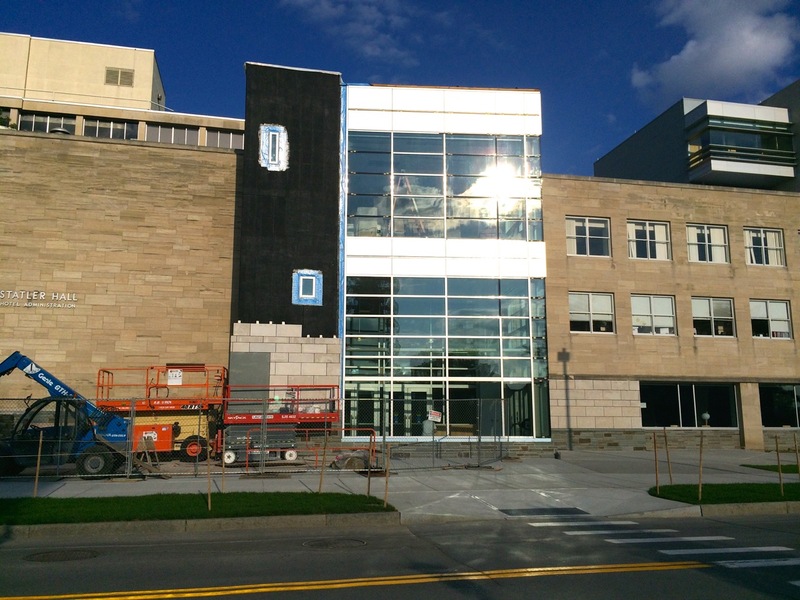 Cornell’s $2.4 million Statler Hall Entry Renovation project seems to be nearing completion: the exterior limestone veneer facade sections are installed, and the second floor interior ductwork and mechanicals have been wrapped in insulation. 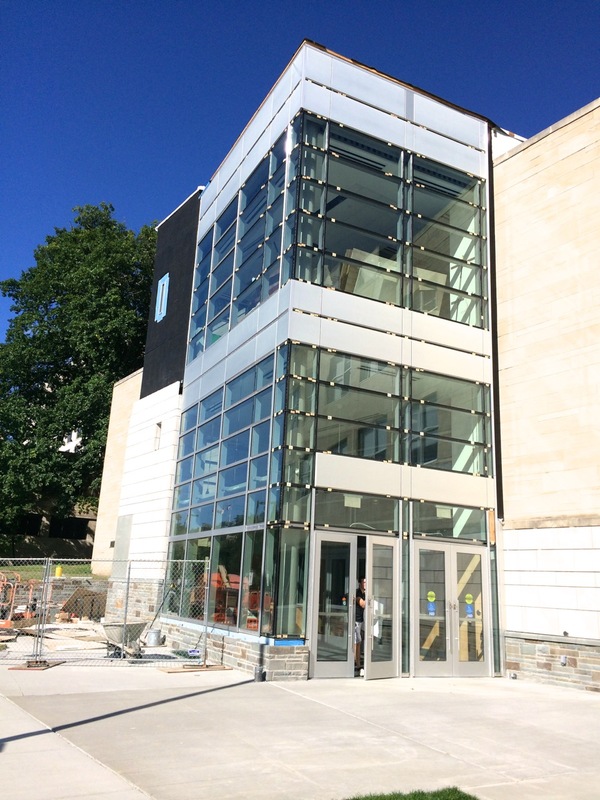 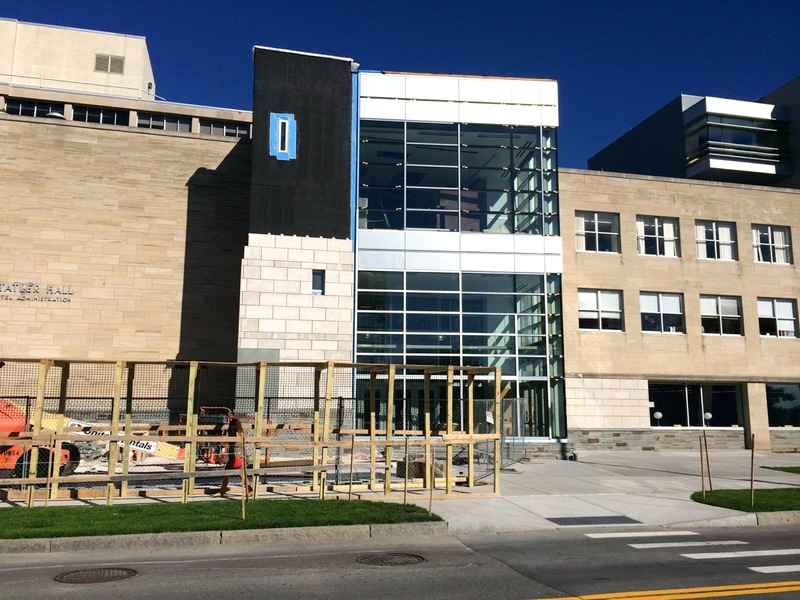 Next up are final touches to the exterior- aluminum trim work between the glass curtain wall, roof fascia, stone base sill, bike racks, and the remainder of the interior finishes. 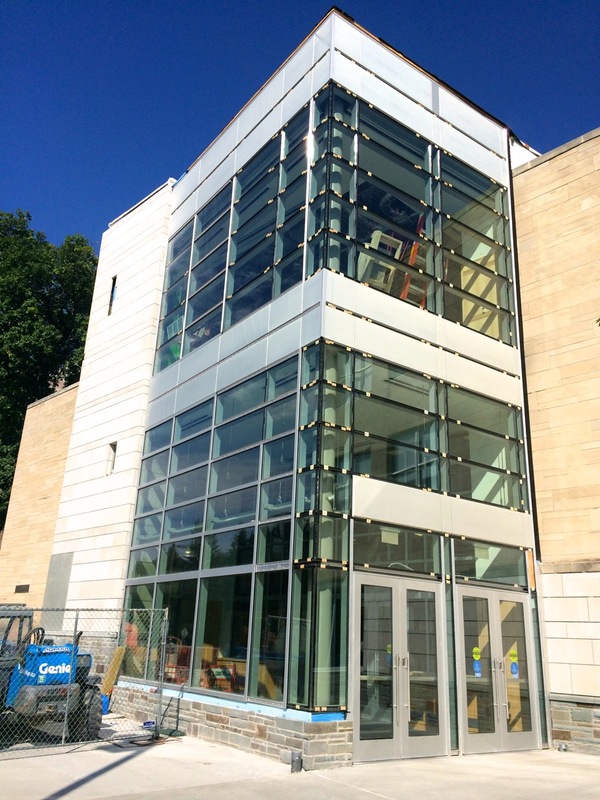 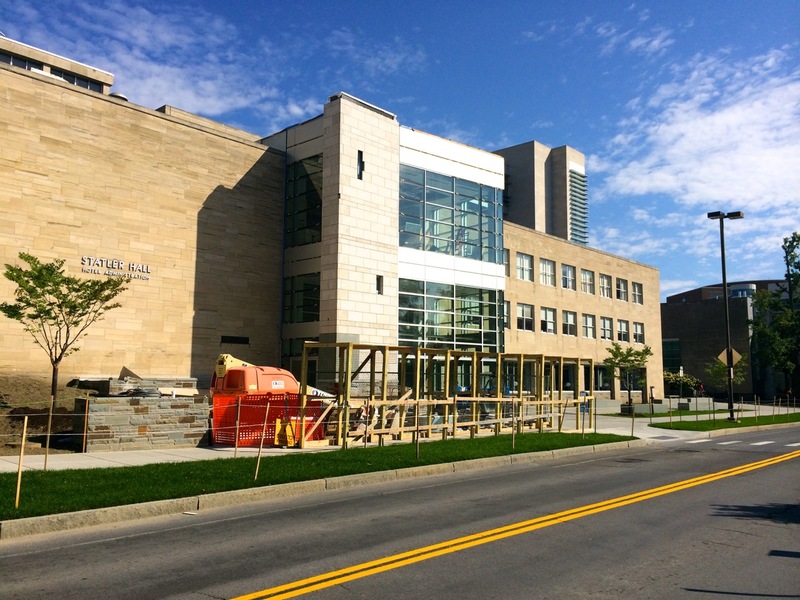 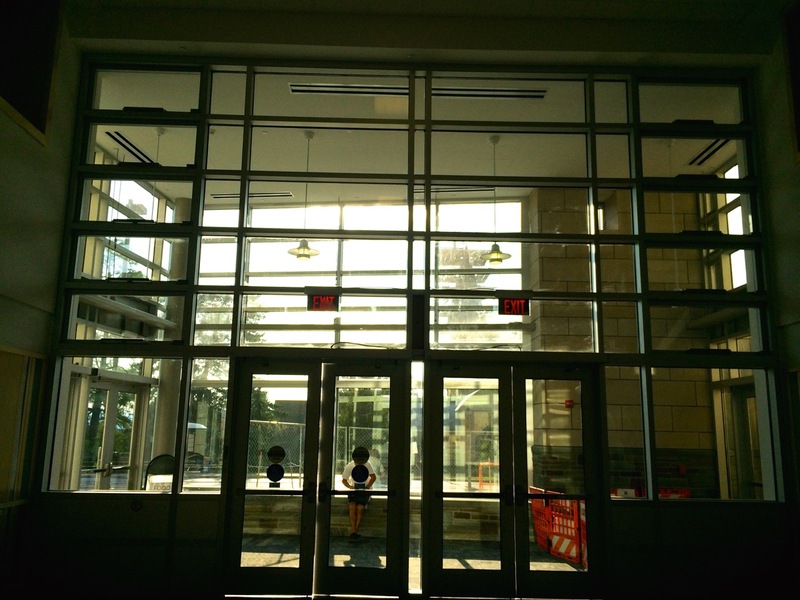 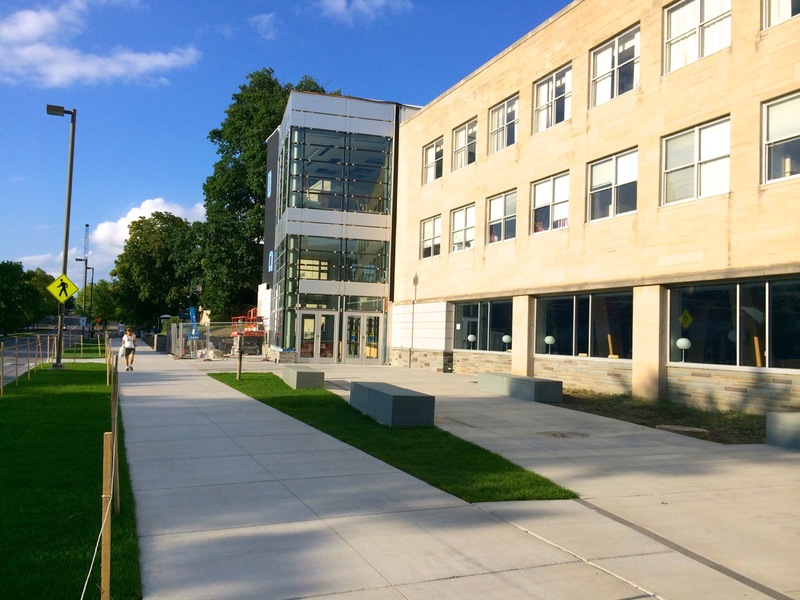 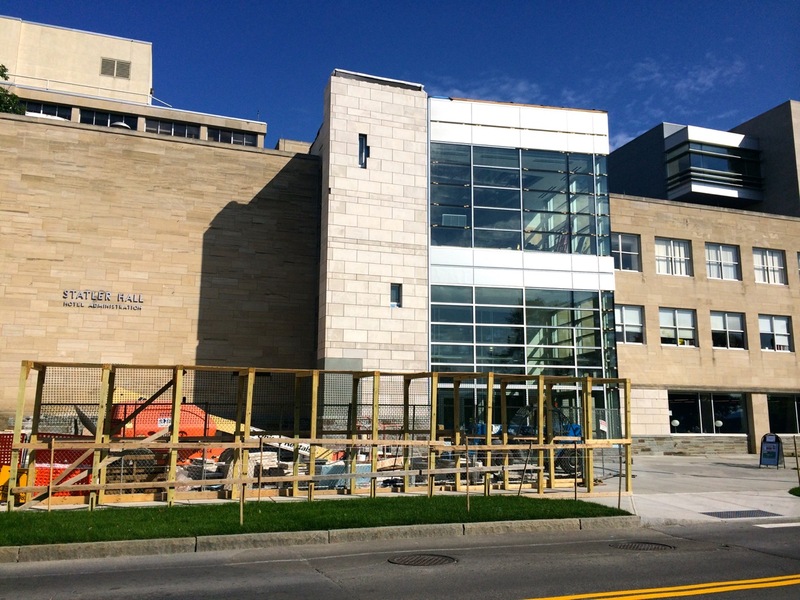 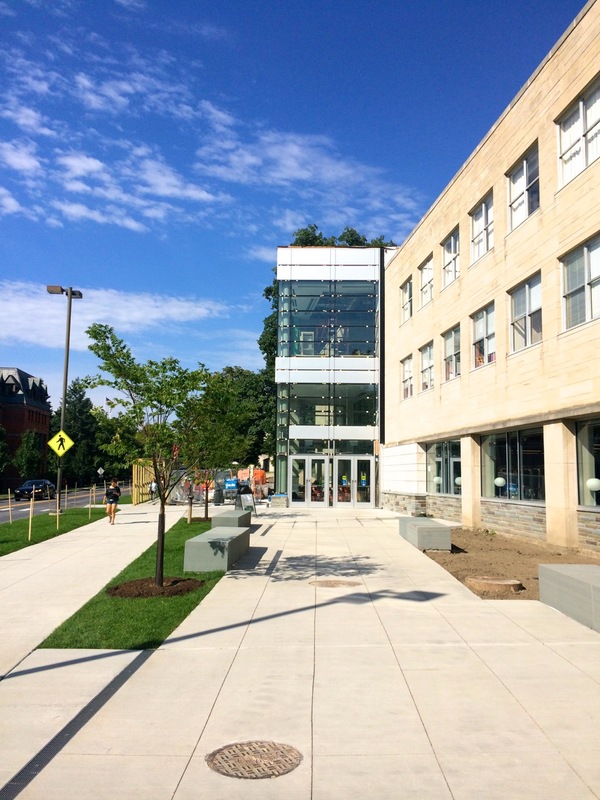 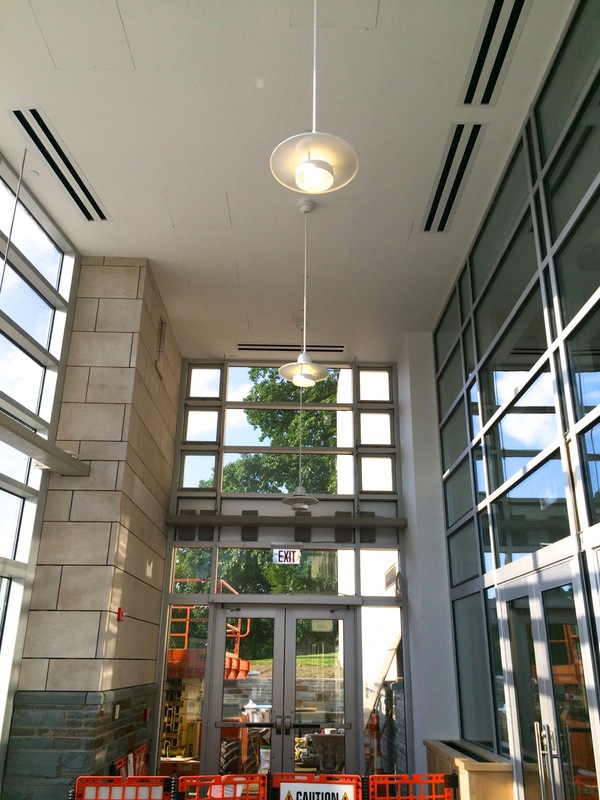 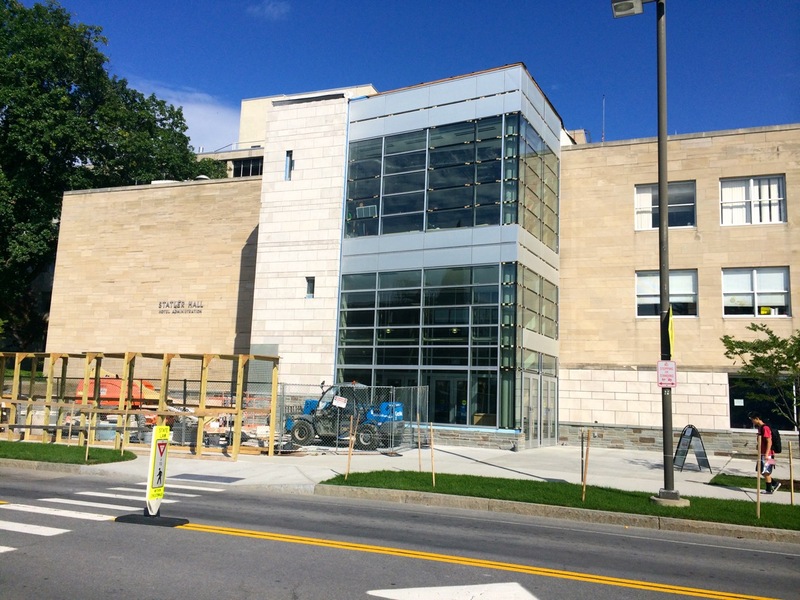 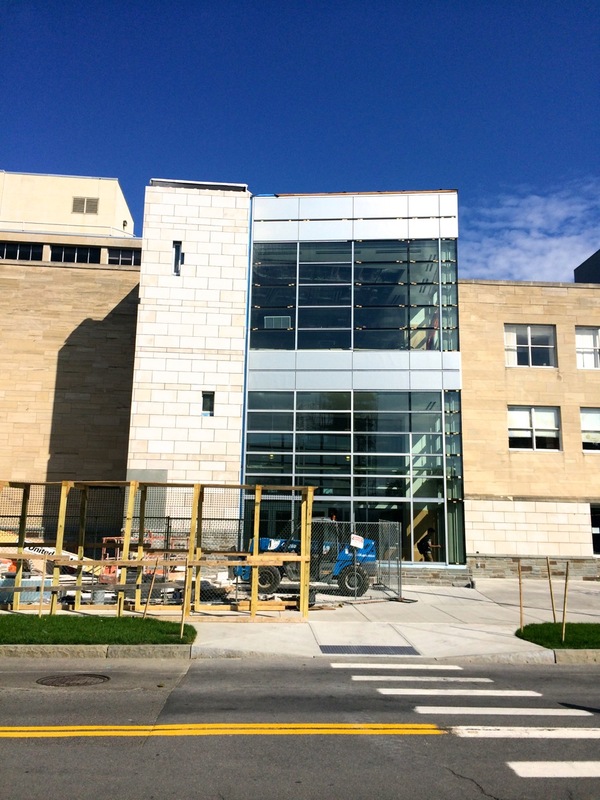 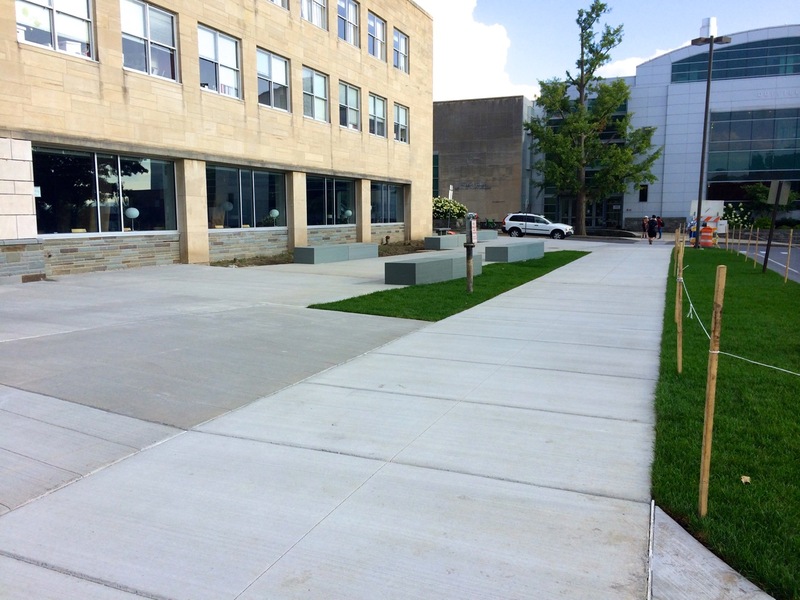 The design is by KSS Architects and M/E Engineering, and the project has been managed in-house by Cornell Facilities Services.